There are 9 reviews of Black Musk for Men. An average musk scent that has better predecessors from Jovan. Black Musk for Men has an odd fruity element to it that threw me off from the start. It comes across as a musk potion that smells okay and is there for last-minute application for today's busy man. Jovan has done better scents, and this one seems fairly forgettable. But there are many followers / believers of Jovan Black Musk for Men, so I'd just say, give it a test and see for yourself. Metallic, industrial, watery smell. Does not work well on my skin. 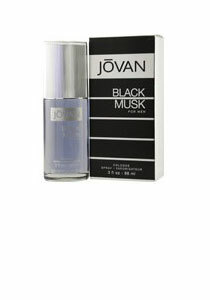 A wow fragrance is what Jovan Black Musk is for me. It smells so pleasant and neat. This a must have in your wardrobe. Great longevity for the price you get it for. Super performance. A subtle and really nice scent from Jovan. Does not smell cheap but it is. Nothing like Jovan original Musk. A very pleasant smell. I stumbled on it by chance while wasting time in a drugstore abroad and what i've smelt is a sort of synthetic, incensey and musky fruity scent with some aromatic herbs in the blend and dark woods in the base. A touch of patchouli is blended somewhere and the musk is not carnal and sensual but chemical and detergent. The high level of artificiality turns out the fragrance in a kind of cool-warm laundry-gummy fruity way and i understand Shamu 1 in its talking about a grape bubblegum dark scent. Thumbs down.